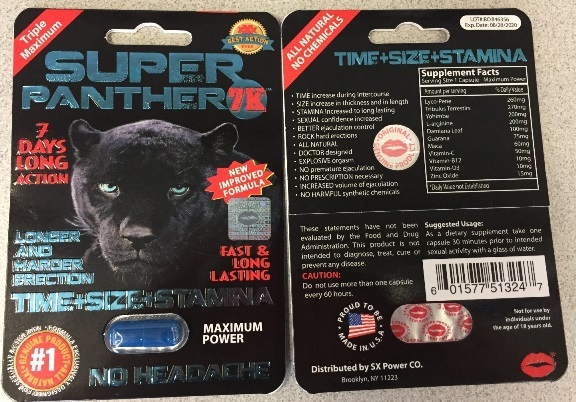 Health Canada is advising Canadians that it has identified two unauthorized health products, “Super Panther 7K” and “Triple Green,” sold at Rixxx Adult Store at 2839 Saint Joseph Boulevard in Ottawa, ON. The products are promoted for sexual enhancement and are labelled to contain yohimbe, an ingredient that may pose serious health risks. Stop using these products. Consult with your health care professional if you have used any of these products and have health concerns. Health Canada has requested and received confirmation that the retailer has stopped selling these products. Should additional retailers or distributors be identified, Health Canada will take appropriate action and inform Canadians as necessary.